Round dampers are power open/power close. 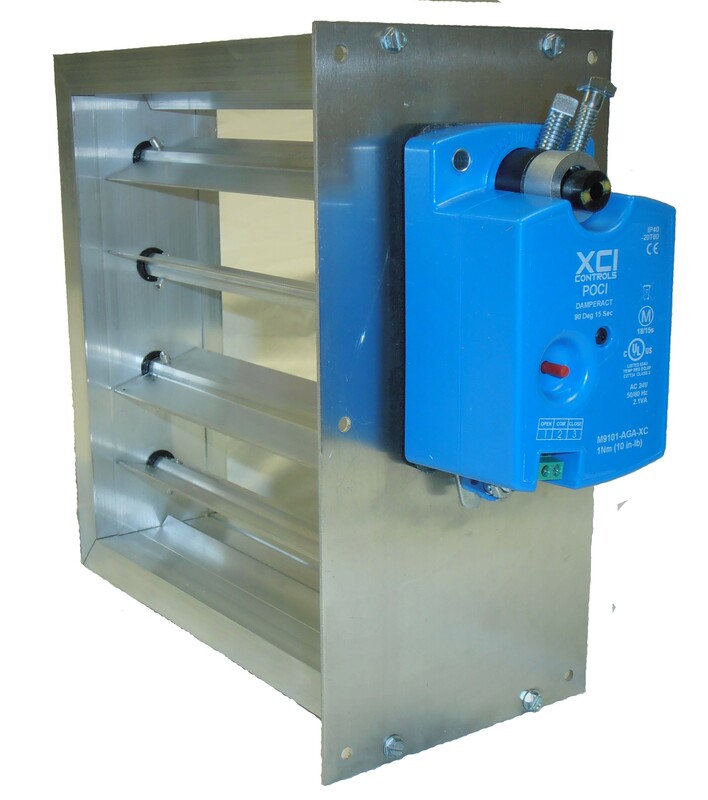 24 vac actuator has ed and green LED’s that indicate when damper is fully open and fully closed Screw terminals are reliable and easy to use. 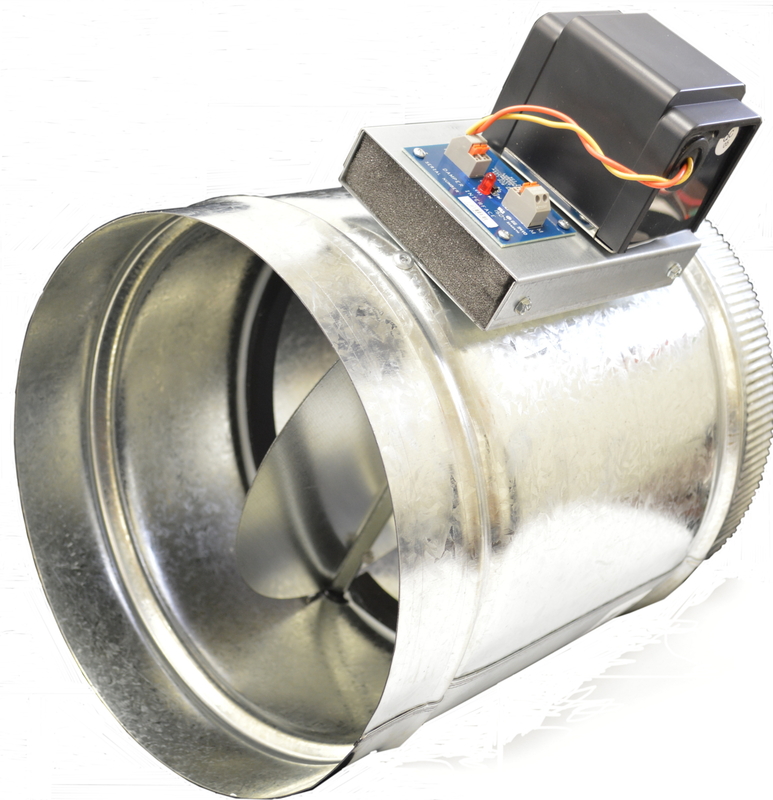 Each motor allows adjustment of the minimum close position. The gasketed edge on the blade furnishes a 99% shut off. The ½” shaft is made of solid aluminum for long lasting strength and reliability. Two bolts with neoprene nuts attach the damper blade to the ½” shaft to insure reliable operation. Spiral construction insures roundness and strength. This damper powers closed and springs open. This guarantees an open damper on a loss of power. The insulated hat section retards condensation around the motor. Screwless connections are reliable and easy to use. LED indicates when the motor is powered. Economical alternative for Residential New Contruction. Spiral construction insures roundness and strength. This damper powers open and springs closed. This guarantees a closed damper on a loss of power. The insulated hat section retards condensation around the motor. 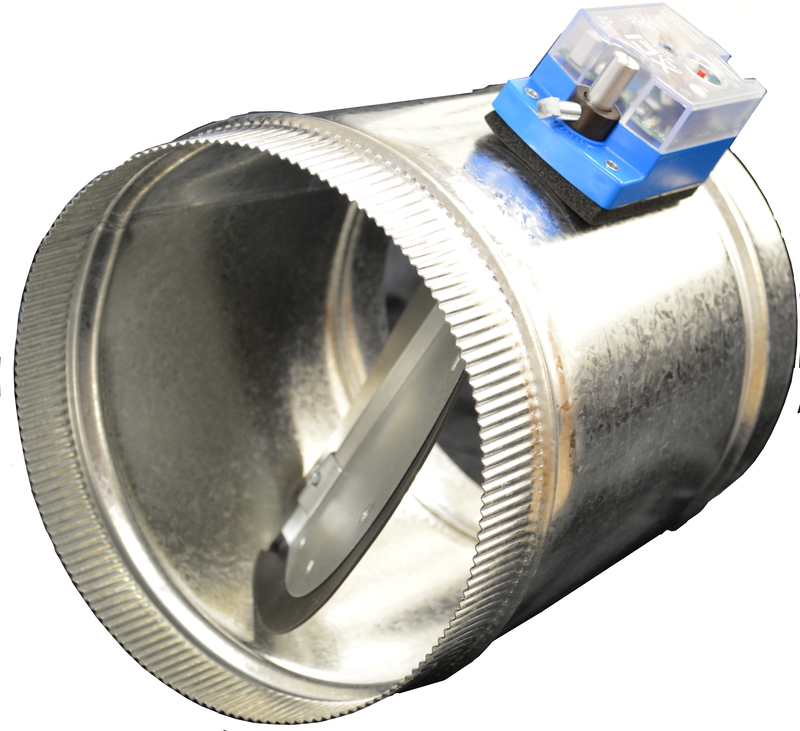 Screwless connections are reliable and easy to use. LED indicates when the motor is powered. Rectangular dampers are designed to hold duct dimensions when mounted inside rectangular duct using extruded aluminum frame and mitered corners with L brackets. 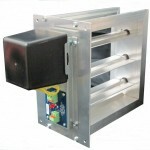 The damper is available in power open/power close, power close/spring open, and power open/spring close. The power open/power close model has a red and green LED to indicate full open or close position. The spring return model has a red led to indicate the damper is powered. 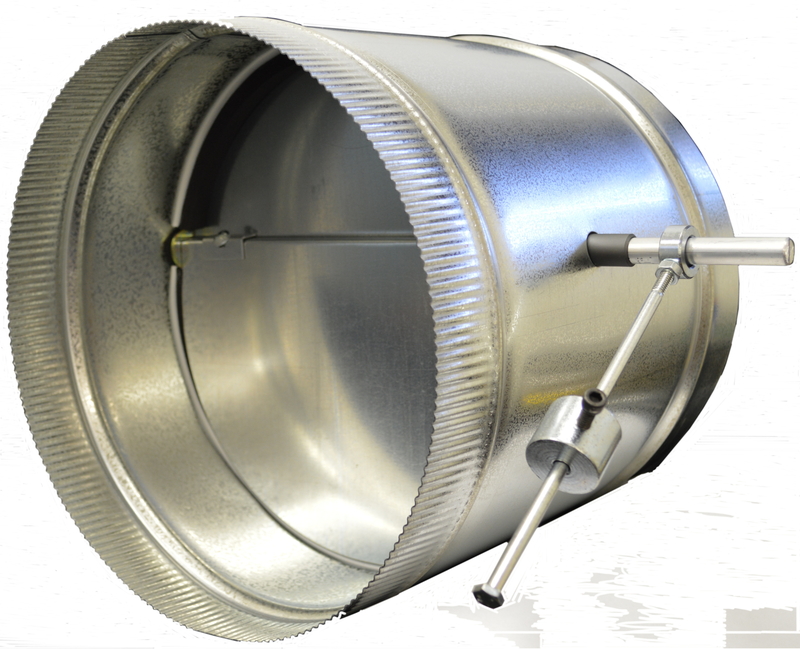 Round bypass damper is designed to relieve air pressure when less than all zones are open. The 8” bolt with weight is screwed into a threaded donut that is mounted around end of the damper shaft. The damper can be mounted in the vertical or horizontal position by rotating the donut and tightening the weighted arm in the correct position. 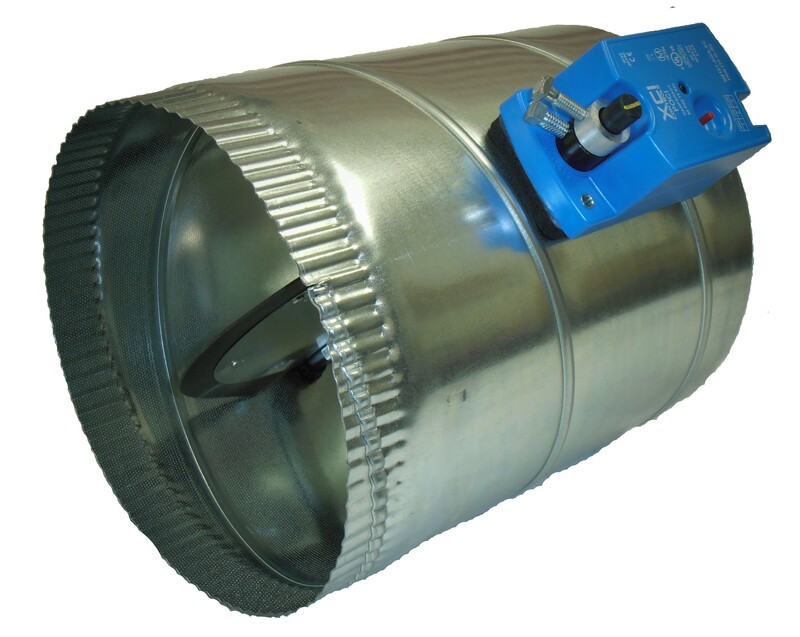 The round modulating bypass damper consists of a power open/power close damper operated by a static pressure switch. The switch is a 24 volt operator that will make a circuit to close the damper on a fall in pressure or make a circuit to open the damper on a rise in pressure. The pitot tube is provided so as to extract a pressure measurement from inside the supply plenum. This pressure is reported to the high side of the pressure diaphragm. The other side is left open to the atmosphere. 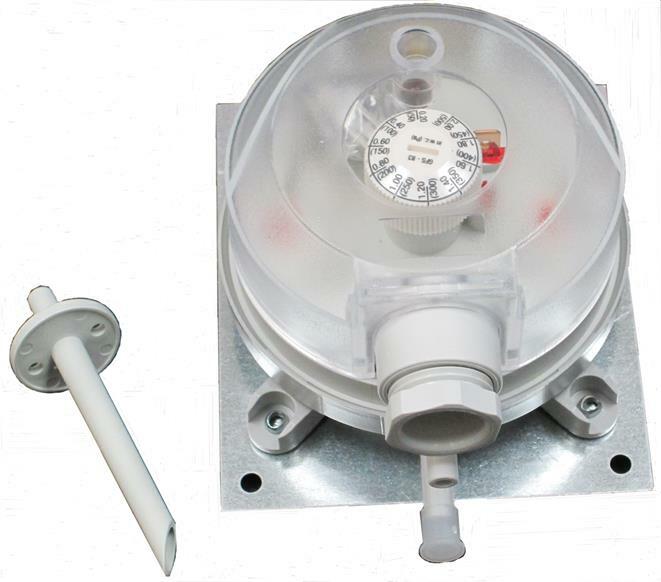 An adjustment know allows adjustment to balance the pressure and maintain the damper closure when all zonesare open. 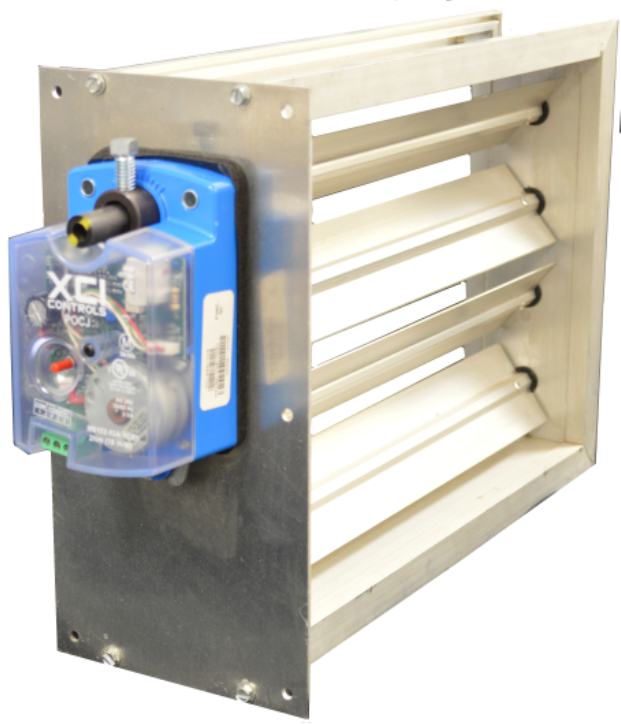 When zones close and pressure is increased, the static pressure controller instructs the bypass damper to open to maintain the correct pressure in the plenum. The switch is a 24 volt operator that will make a circuit to close the damper on a fall in pressure or make a circuit to open the damper on a rise in pressure. The pitot tube is provided so as to extract a pressure measurement from inside the supply plenum. This pressure is reported to the high side of the pressure diaphragm. The other side is left open to the atmosphere. 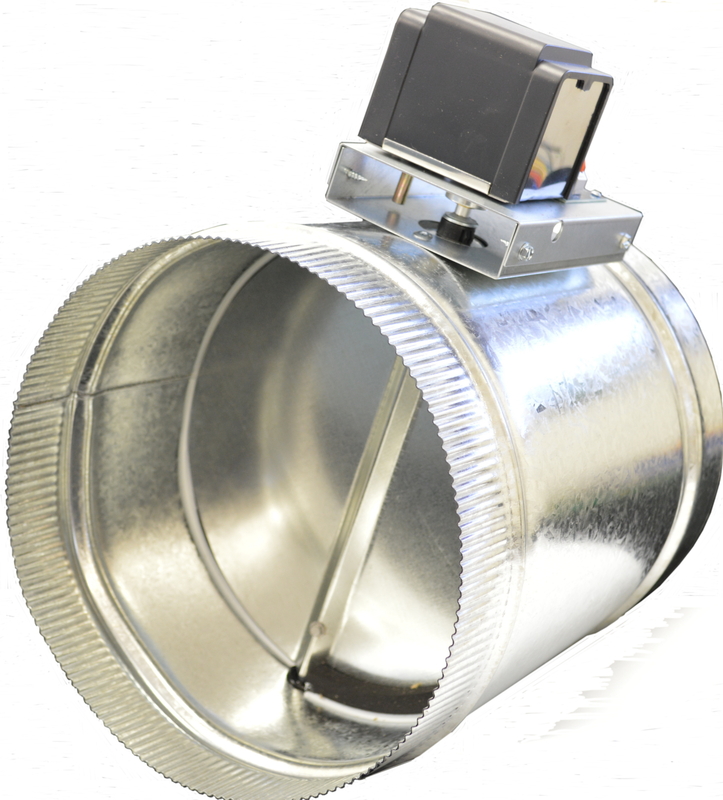 A set screw allows adjustment to balance the pressure and maintain the damper closure when all zones are open. 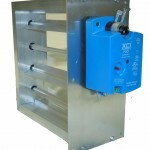 When zones close and pressure is increased, the static pressure controller instructs the bypass damper to open to maintain the correct pressure in the plenum. Screw connections are reliable and easy to use. The gasketed edge on the blade furnishes a 99% shut off. The ½” shaft is made of solid aluminum for strength and long life. Two bolts with neoprene nuts attach the damper blade to the ½” shaft to insure reliable operation. The CBD damper series carries a full 10 year factory parts warranty. The opposing blades furnishes a 99% shut off. Molded nylon gears assure smooth operation and long life. Extruded aluminum parts insure a precision fit. 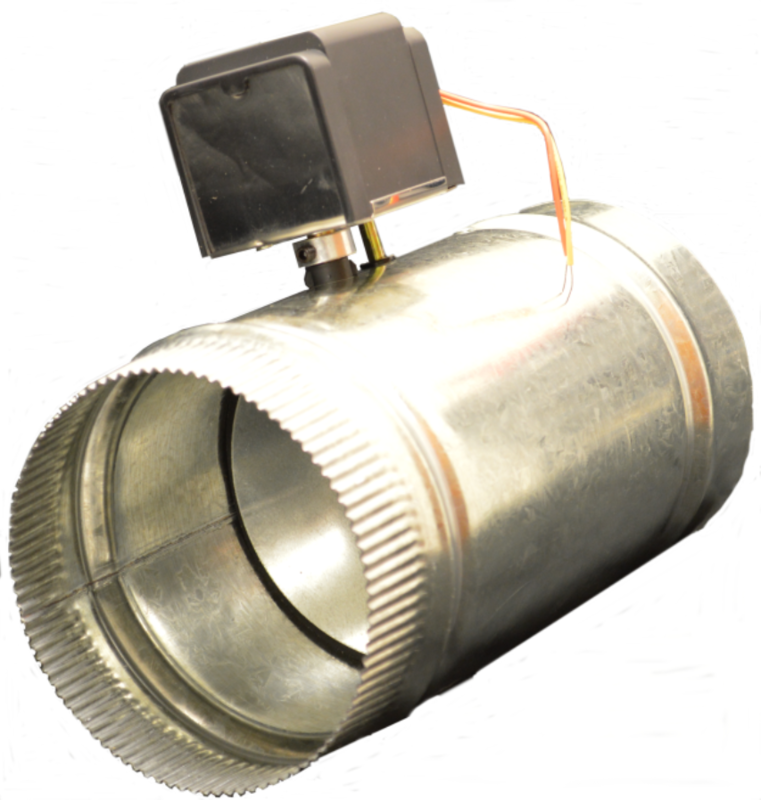 The DAMPSLS & DAMPSLB damper series carries a full 10 year factory parts warranty. No registration required.